The goal of my collection is to collect, at least, one fine cover from each country in the world, or entity issuing stamps, addressed to me. As there are approximately 286 different countries (or entities) to collect, it will obviously not be so easy to realize, but I do like the challenge. Therefore any help is very welcome. 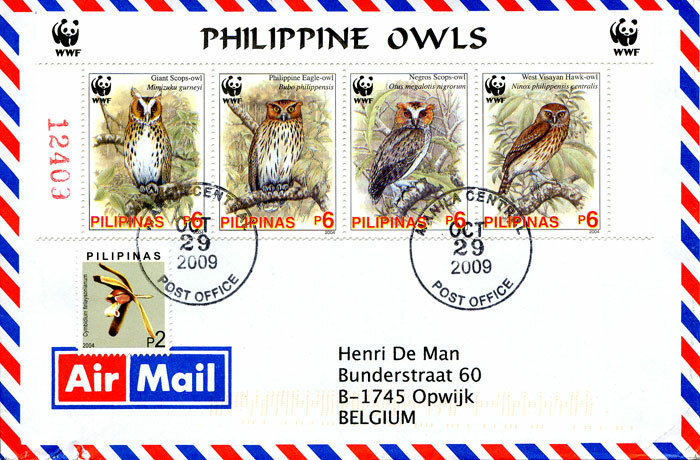 Example of a nice cover: the Philippines. A second important theme is to try to obtain a certain standing of the covers by respecting a number of guidelines to improve envelope quality, as much as possible. 1. Select a good paper quality envelope. Most members prefer the 162 x 114mm size (6,37 x 4,48 inch). 2. Write the receivers address correctly and enclose a cardboard stiffener, or a postcard, to protect against damages. 3. 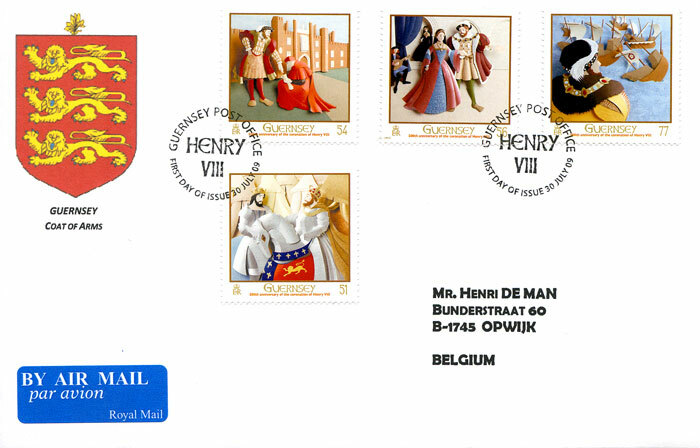 Use always recent commemorative, pictorial or airmail stamps (two or three at least). Using single stamps of common postal issues renders a cover less interesting. 4. Separate and affix the stamps needed for the postage evenly and well spaced on the front of the cover from the upper right side, at least ± 5mm (¼ inch) away from the edges. Be sure that all the stamps are in the upright position! c) to place an 'Air Mail' label on the cover (or 'stamp' if a label isn't available). 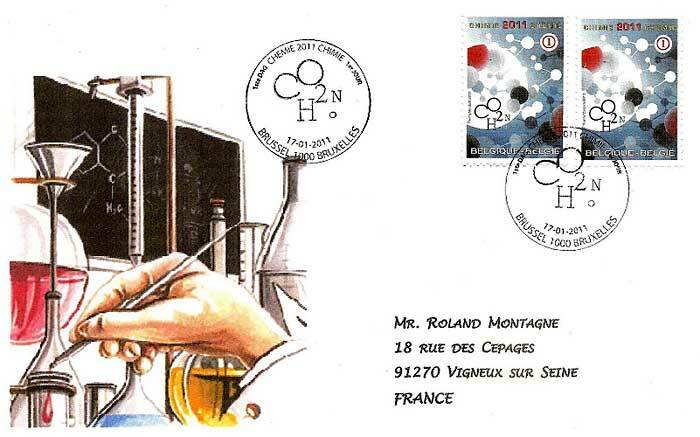 (2011 International Year of Chemistry) . As to build up such a collection it will be interesting to apply for a membership of one or more Cover Circuit Clubs. The way to work with these clubs is very simple and usually similar. There are mostly common members (CMs = circuit members) and originating members (OMs). The originating members can send an ‘OM Form 10’ to a member, eventually on demand, to fill in with his identity and the names of 10 countries from which he's looking for a nice cover. That Form 10 is to send back to the OM who will check if there are club members in those countries. In that case the OM wil fill in a 'Circuit' on which he states names and adresses of a few different members. 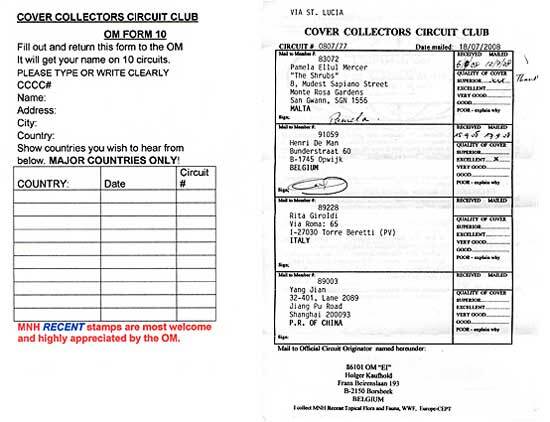 The first member on the circuit receiving that form, sends the circuit with a nice cover to the second one on the list. This one sends the circuit to the third person on the list, and so on. The last member on the list returns the circuit to the originating member, who composed the circuit. Of course, there is always the possibility to engage correspondance between members of the club at any time. Example of a ‘OM Form 10’ and a ‘Circuit’ of the CCCC. A second possibility to collect desired covers consists in preparing a cover by yourself. So you can, for example, search some nice stamps of a still missing country in your collection, affix those stamps on an envelope and send that cover to the Philatelique Administration of the concerned country. At that moment you have to ask a clear postmarking on the stamps, preferably a special one, and ask to place an 'Air Mail' label on the cover. Example of a self prepared cover (Guernsey).